Parking on street Rooms 1. 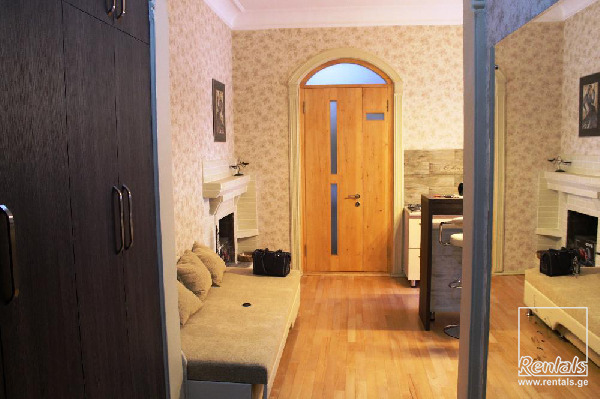 A modern and newly renovated studio is located in the historical building on a quiet street just 5-minutes walk from Metro station Freedom Square, Marriott Hotels and main museums. Studio is appropriate for touristic and business visits and suitable for 2-4 member groups or a family. You will enjoy your stay in this cozy and friendly environment equipped with comfortable bedding, air-conditioning, cable TV, Internet, refrigerator, microwave, hair drier and ironing facilities.Coffee, tea, soap and free towels are available for guests.